twice a month at our yard in Yotsukaido, Chiba, JAPAN. and auto parts will be displayed. High-Quality Used Engines and Used Auto Parts. We will display high-quality used engines, TOYOTA, NISSAN, HONDA, MITSUBISHI, MAZDA, SUBARU, SUZUKI, DAIHATSU, HINO, VW and used parts, such as transmissions, front-/rear-axles and nose cuts. Auction List will be avaibale on Monday of the auction week. If you would like to have the list, please contact us via our Facebook page or phone. Used Engines of TOYOTA, NISSAN, HONDA, MITSUBISHI, MAZDA, SUBARU, SUZUKI, DAIHATSU, ISUZU, VW, BMW will be displayed. No pre-registration is required. No participation fee is required. Everybody who has a license as a used goods merchant（古物商許可証）can participate in our used engine auction freely. If you would like to know more about our used engine auction, please feel free to ask us from this contact form. How can I get auction list ? How can I get details of your used engine auction ? Please send your request via above CONTACT FORM so that we can send you an answer via e-mail. Message from SOSHIN Co., Ltd.
Hello, We are Soshin Co., Ltd., JAPAN ! 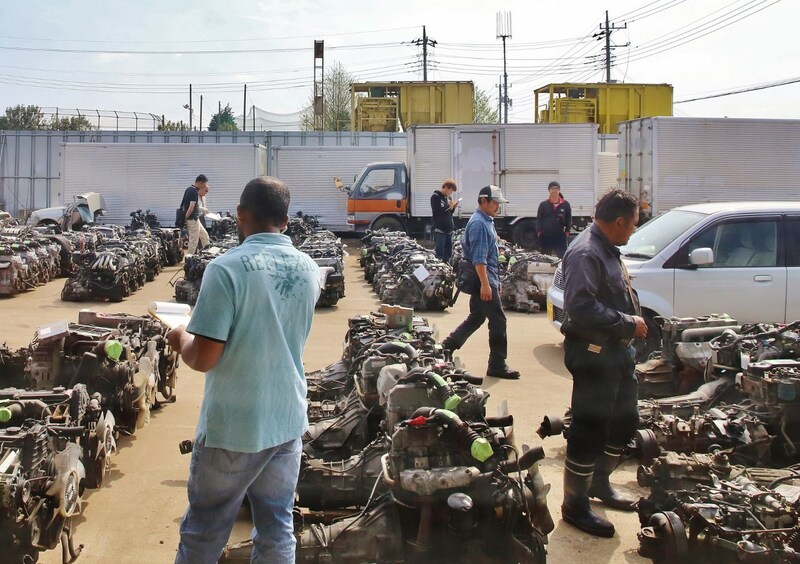 We hold used engine and used autoparts AUCTION in our Chiba yard twice a month. We normally display about 160 used engines, 20 transmissions and 20 front- and rear-axles and some nose-cuts and half-cuts every auction. Auction List is available on Tuesday evening of the auction week. 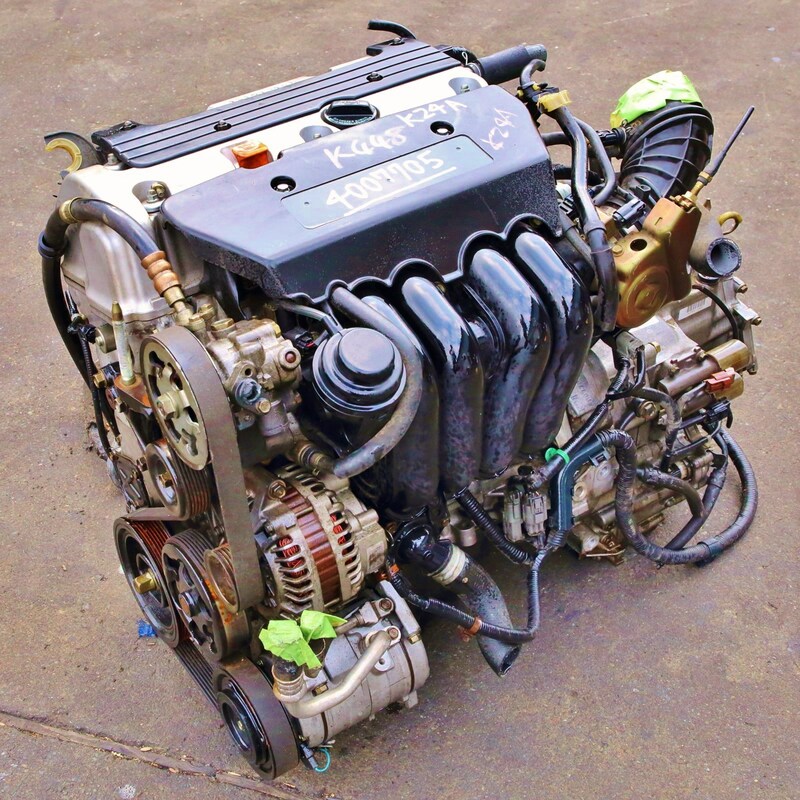 We have been exporting used engines and auto parts for more than 30 years since 1985. We are really professional company to collect/handle/export used engines and auto parts. feel free to contact us any time from our Facebook page, website or telephone. 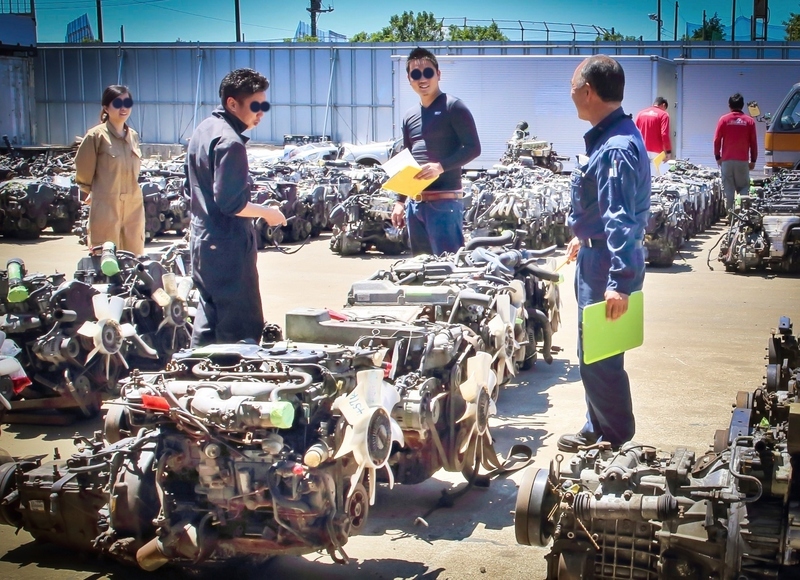 We are looking forward to your inquiry and your participation in our used ENGINE AUCTION. Engine Auction Team / Soshin Co., Ltd. Copyright 2016 Soshin Co., Ltd.